I’m definitely a bit slow on the uptake with this as I’m pretty sure every beauty blogger has at least mentioned if not dedicated posts to the Urban Decay eyeshadow palettes, but here’s my views on the Naked 3 palette – I love. I received this as a birthday present – it was at the top of my present list – and I had a hard time choosing which one I wanted from the collection. The colours are all lovely, but I wanted a palette that I would use all of the colours in – often there are at least a couple that I wouldn’t use. But I have already used all of the colours and I’m really pleased with all of them. I do love a smokey eye, and I have used the majority of these colours to create that look. The darker colours on the far right are great for using as eyeliner. I love the versatility of the colours and the fact that they all compliment each other so well. They don’t crease very much which is a huge bonus, and they last a decent amount of time – I’m in the habit of using eyeshadow primers which help a lot with longevity. And there may be other palettes (I’ve heard great things about Inglot – where you choose your eyeshadow pans to put in the palette) that are more highly pigmented and therefore will last longer, but I love the colours so much in Naked 3 that I’m willing to use primers. I definitely want to branch out and try some different colours that are outside of my comfort zone, so watch this space for some more eyeshadow palette reviews. 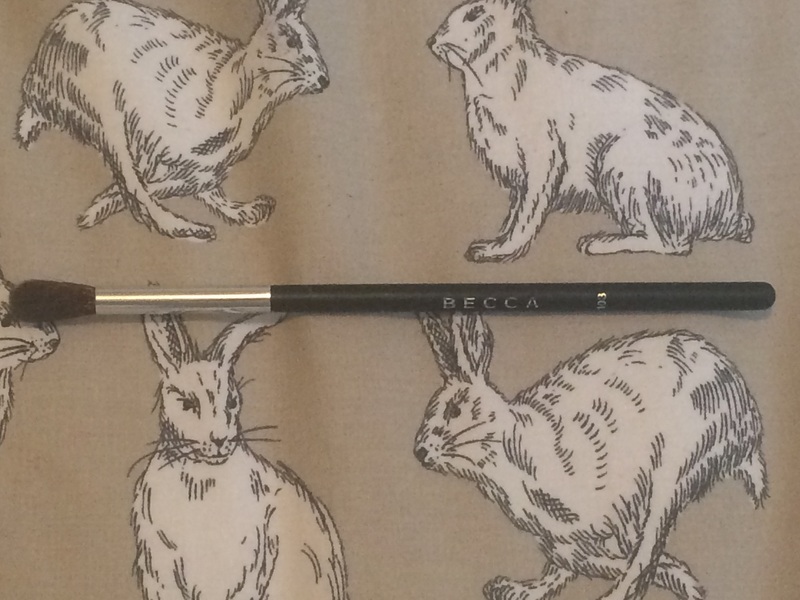 My last point is about the brush – it’s fairly fluffy which is good but it’s not great at buffing the colours to make sure they blend properly, so I prefer to use the Becca 103 brush shown above (recommended by the wonderful Jaclyn Hill) which is now only £12 at SpaceNK, reduced from £24. Definitely worth grabbing it now – it’s a beautifully fluffy brush which makes short work of buffing and blending. I love Naked 3! It’s my favourite of all the Naked palettes. I haven’t tried that Becca brush, I religiously use my Sigma blending brush, but I love having a few!